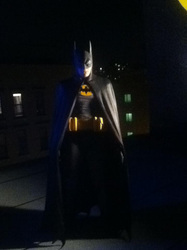 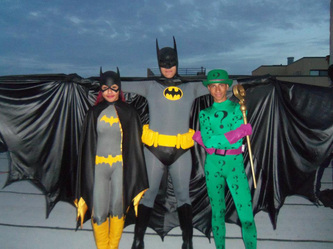 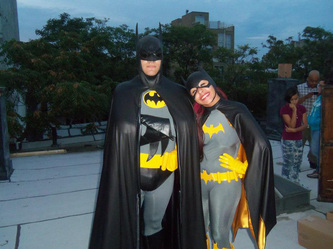 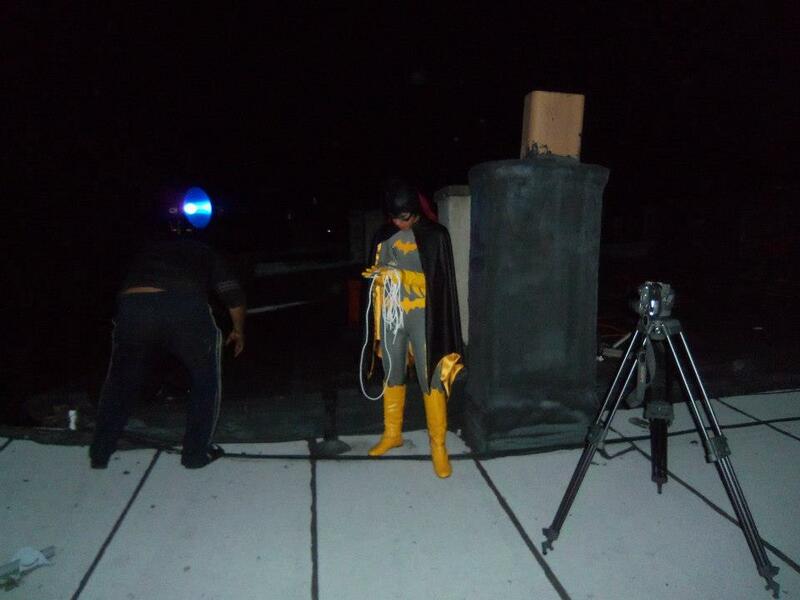 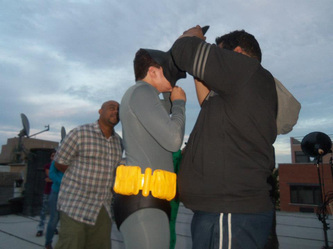 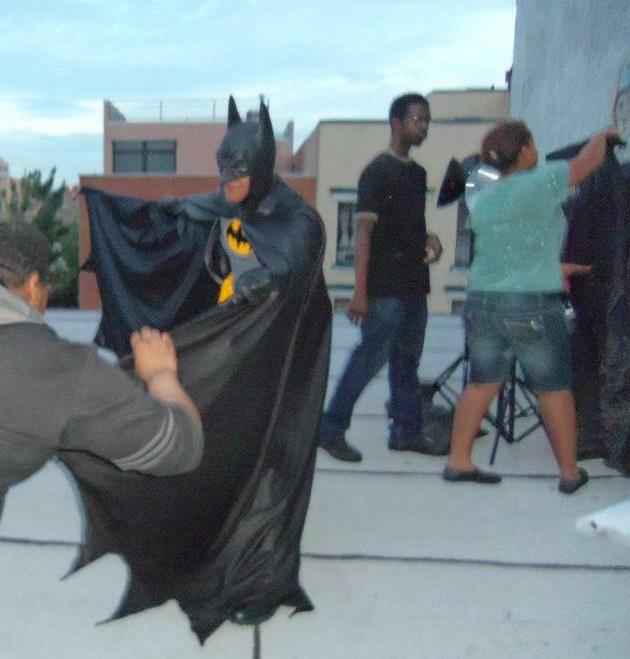 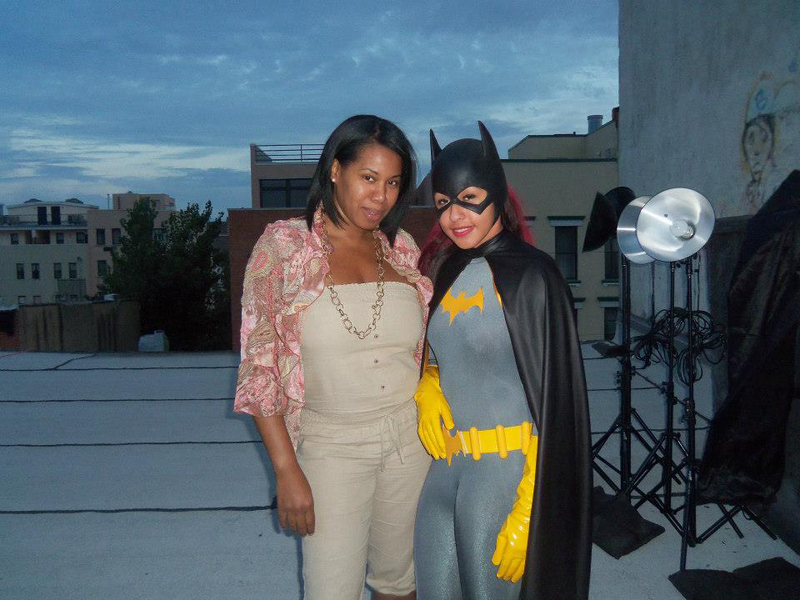 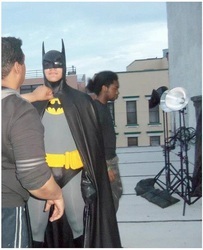 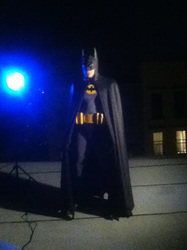 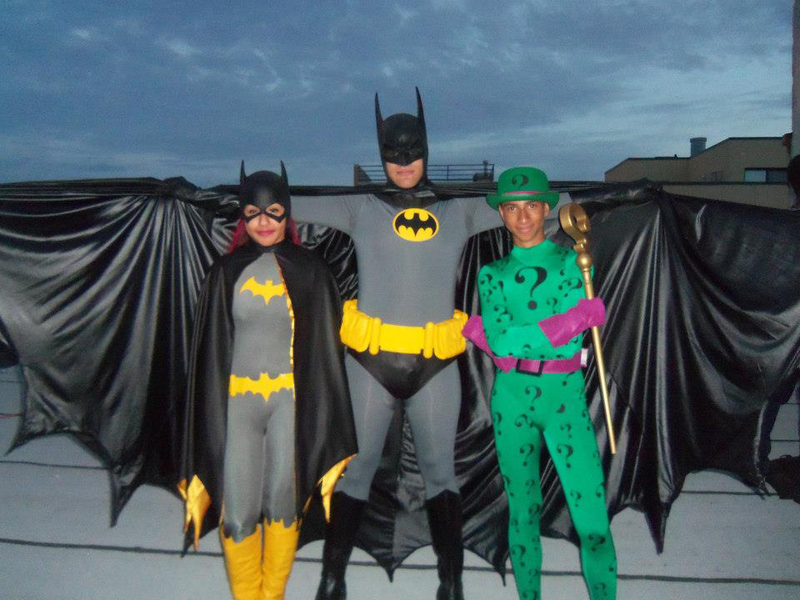 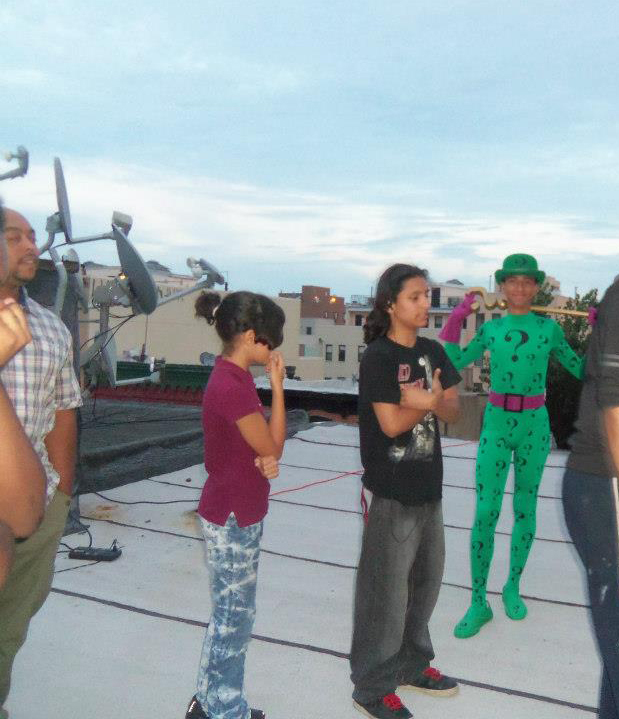 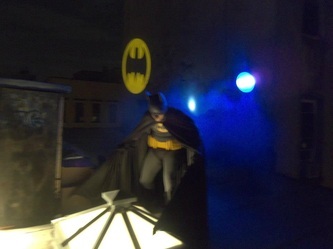 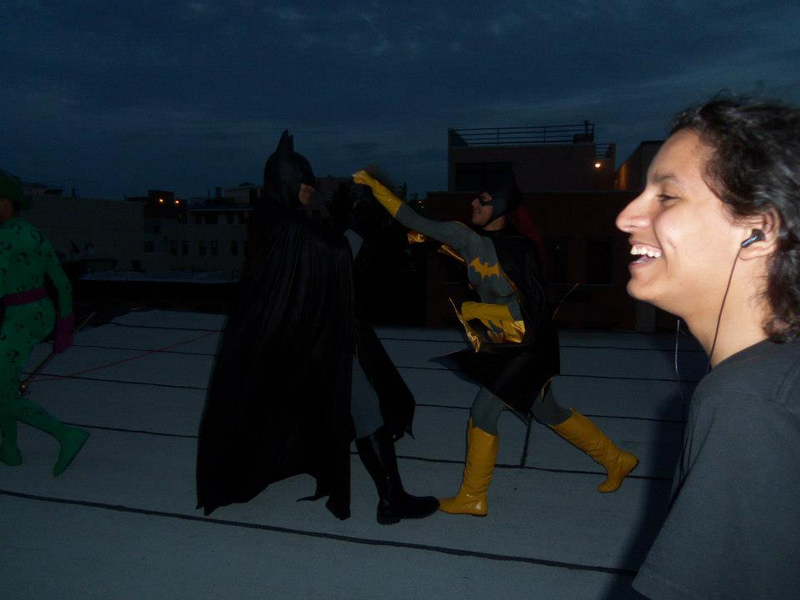 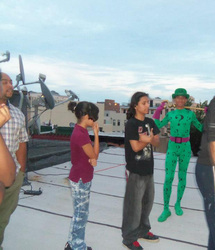 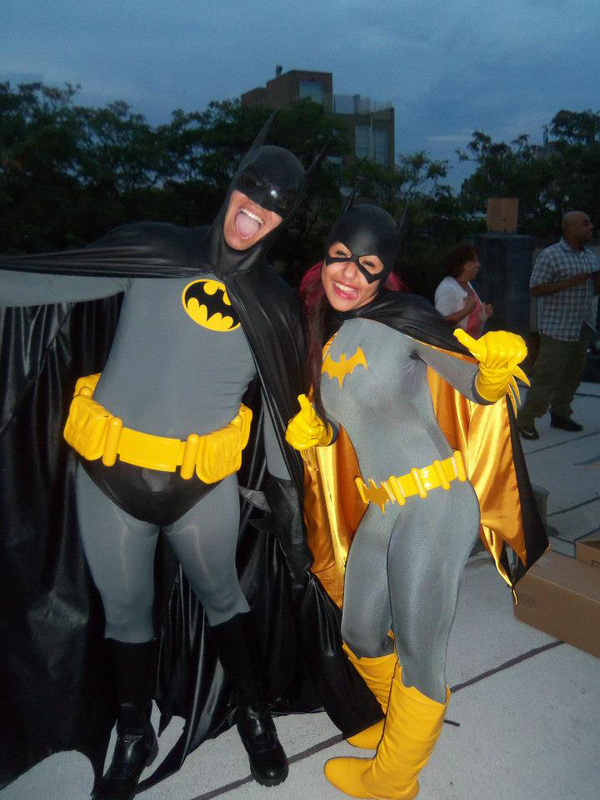 Playwright/ Producer/ Director Roberto Williams returned to the Williamsburg Brooklyn rooftop (that was the site of last summer's photo shoot) to photograph more publicity images of the Fathers Of The Dark Knight cast! 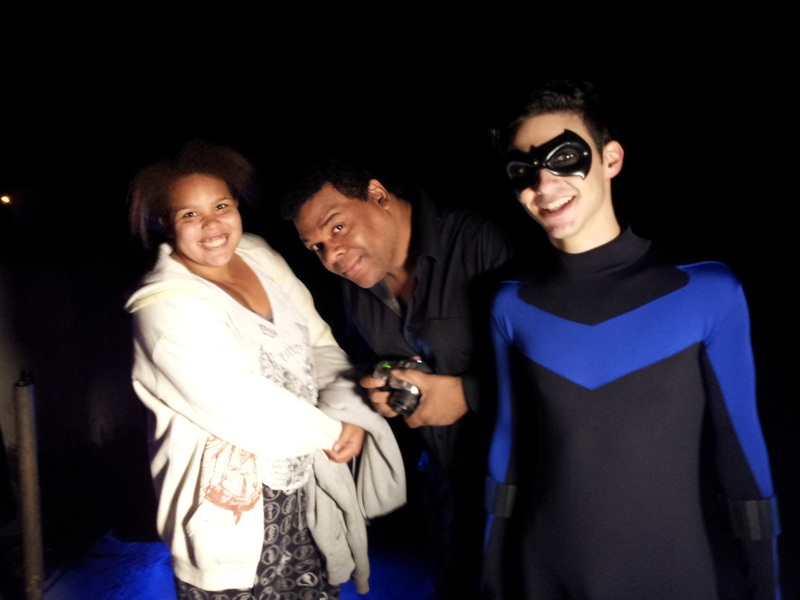 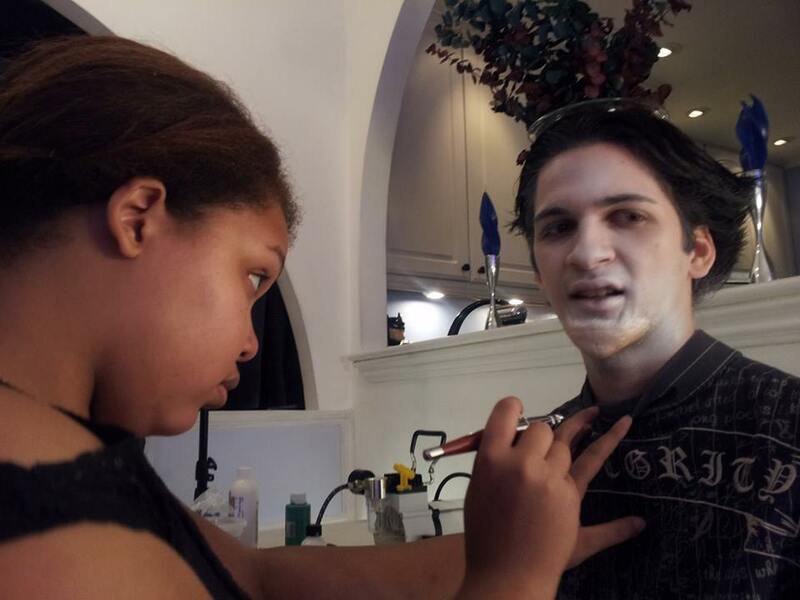 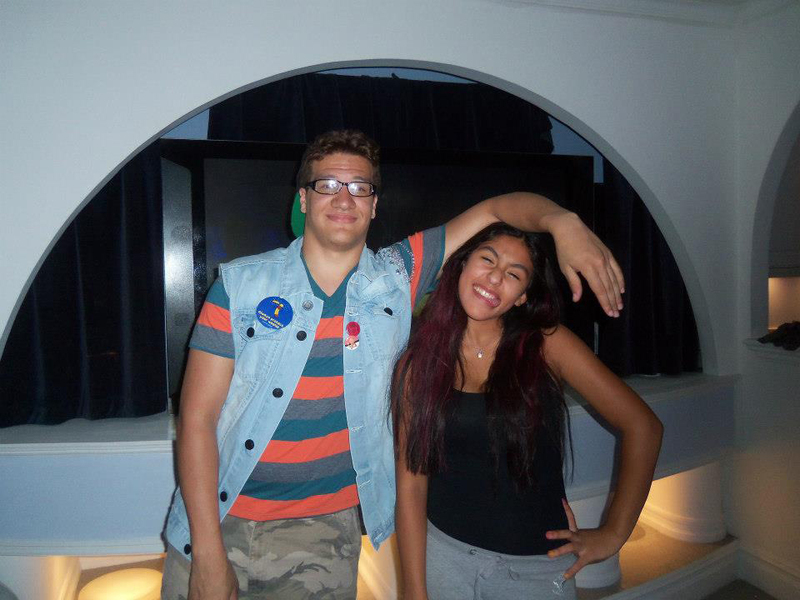 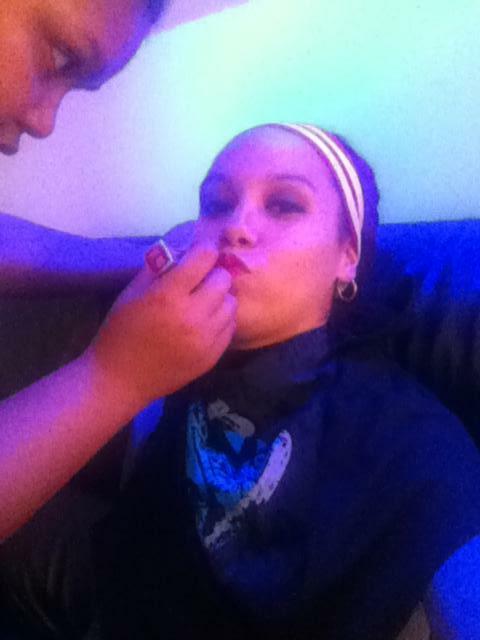 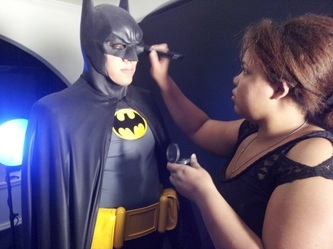 This evening marked Anthony Vasquez and Destiny Jenice Quiñones' first publicity shoot in their final costumes. 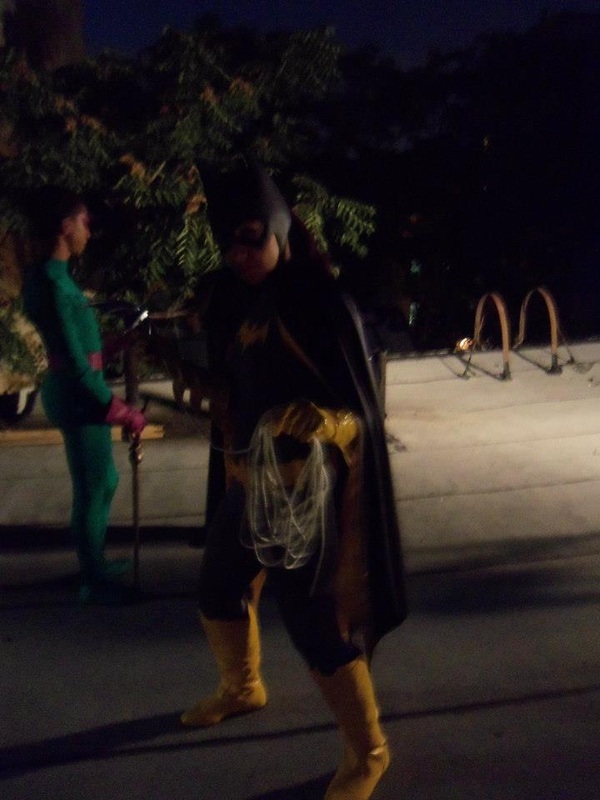 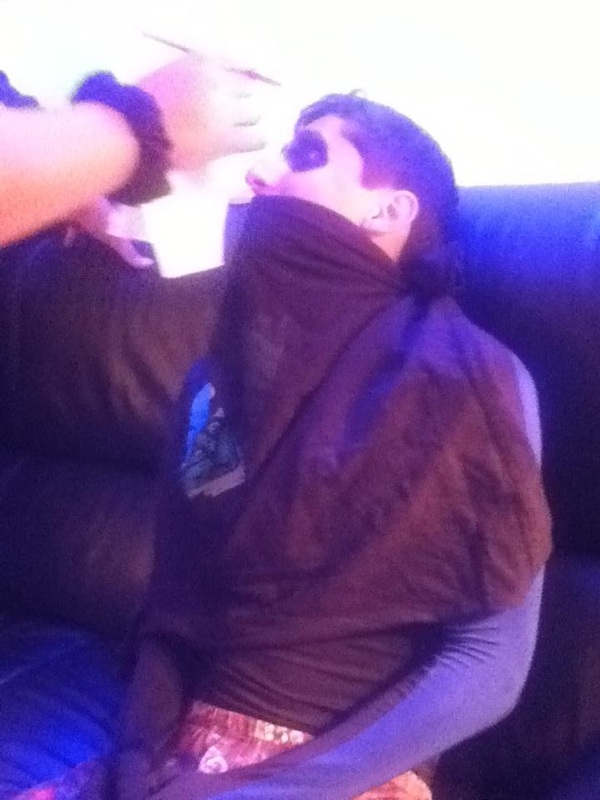 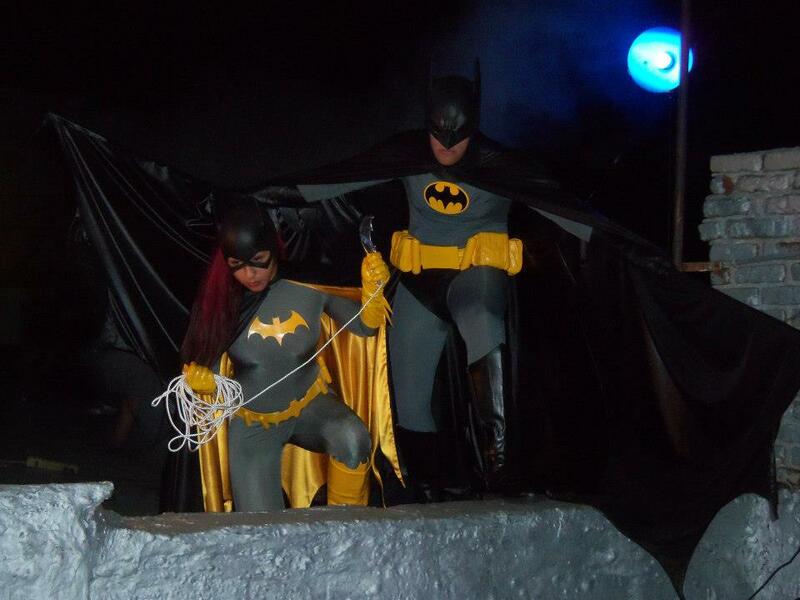 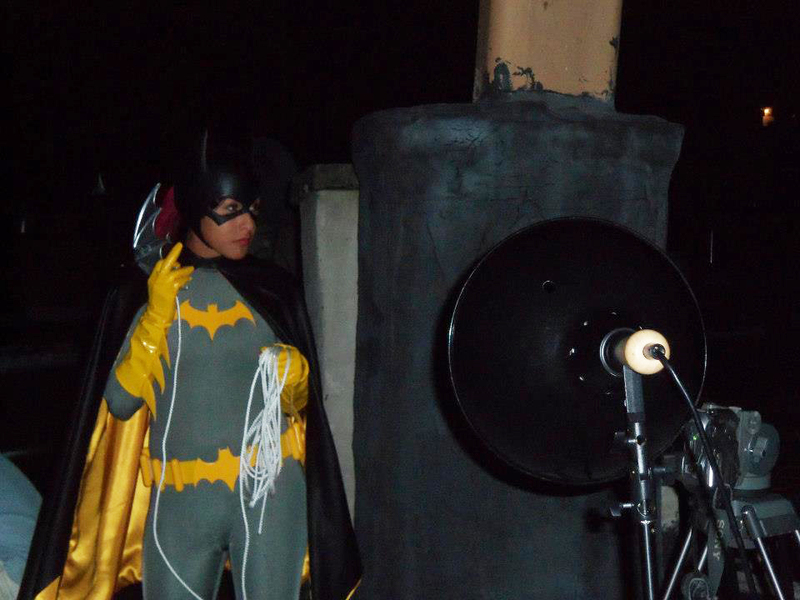 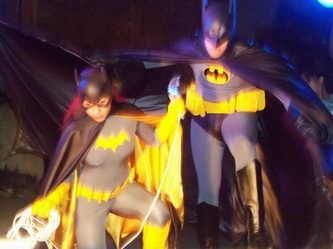 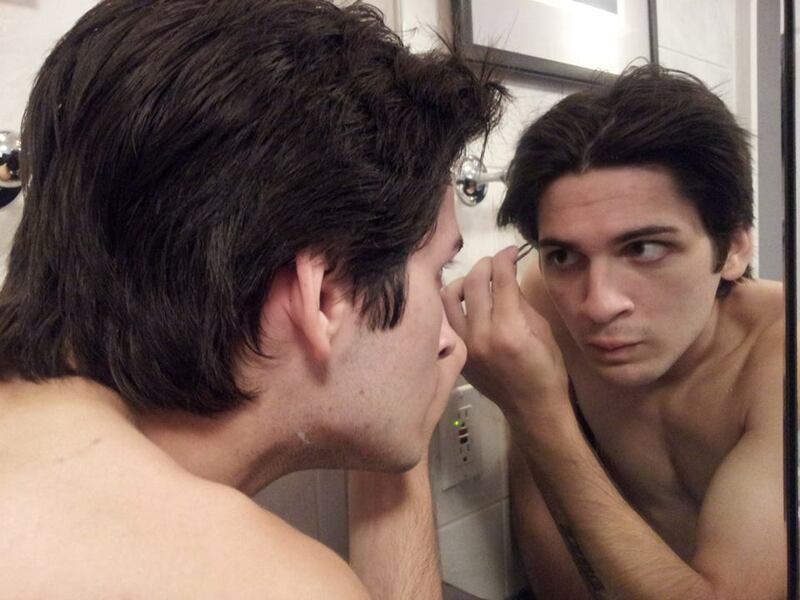 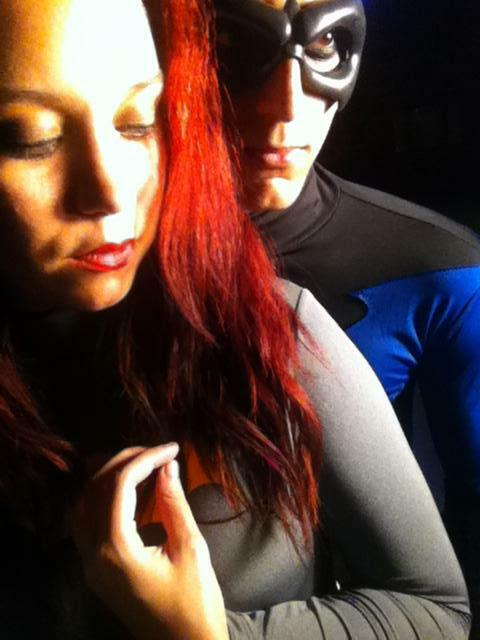 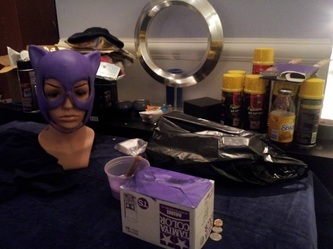 Mr. Vasquez will portray the mysterious night avenger Nightwing, while Ms. Quiñones replaces Alexis J. Chavez in the role of Barbara Gordon / Batgirl. 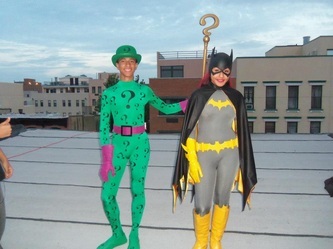 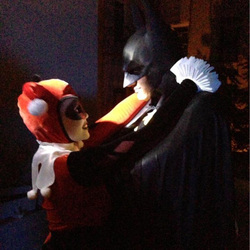 Also on hand, was the talented Ms. Jennifer Paniagua, who once again portrayed Harley Quinn, and the big man himself Andrew Davis Feliz who donned cape and cowl as The Batman. 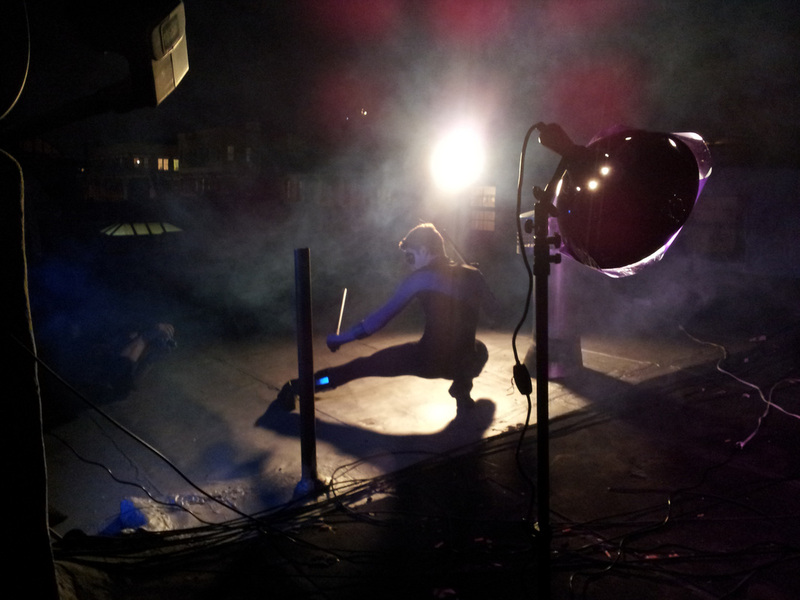 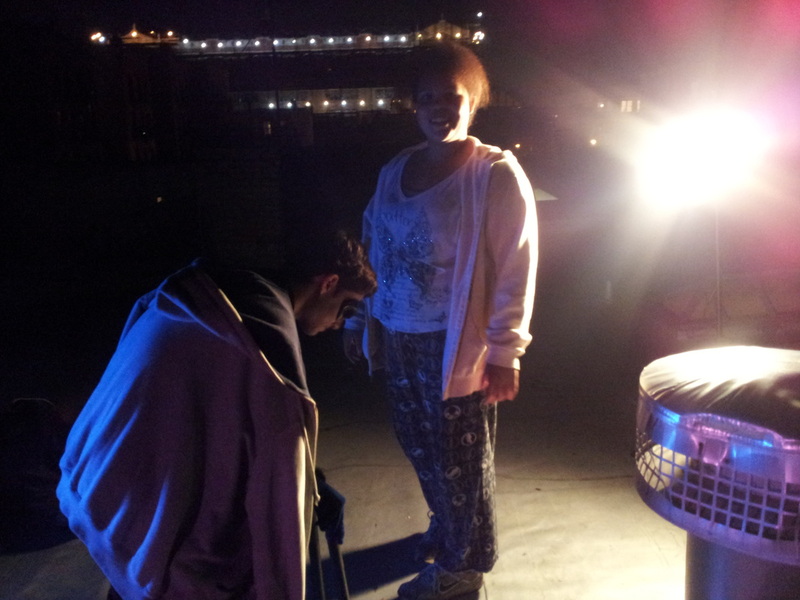 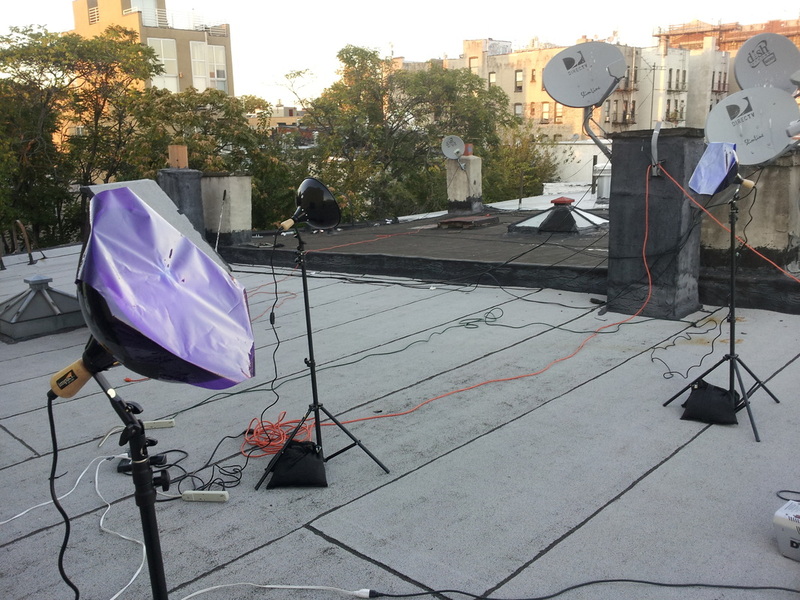 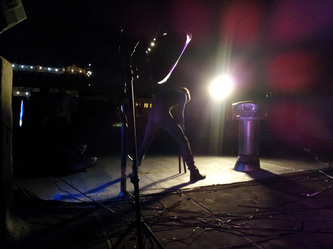 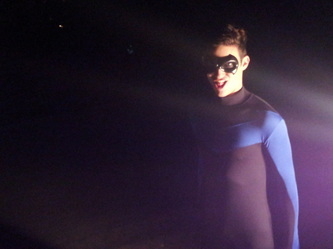 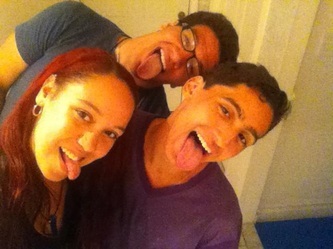 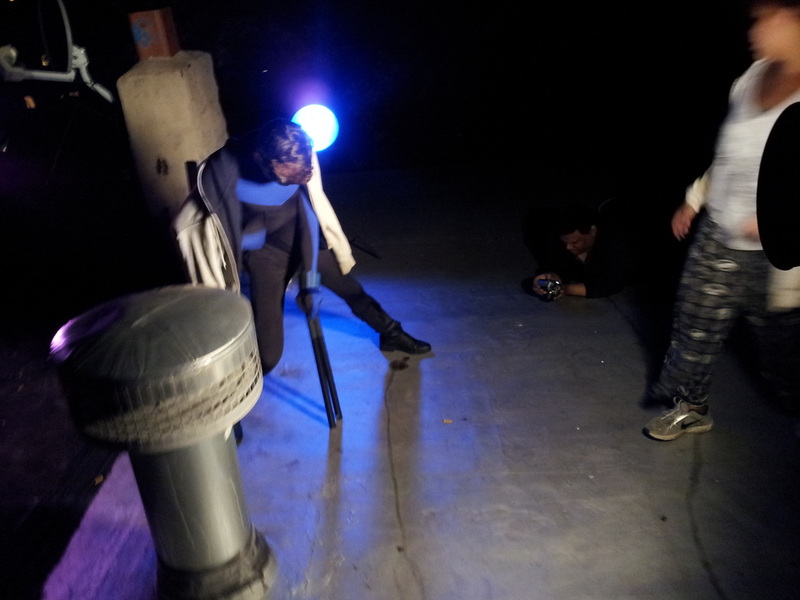 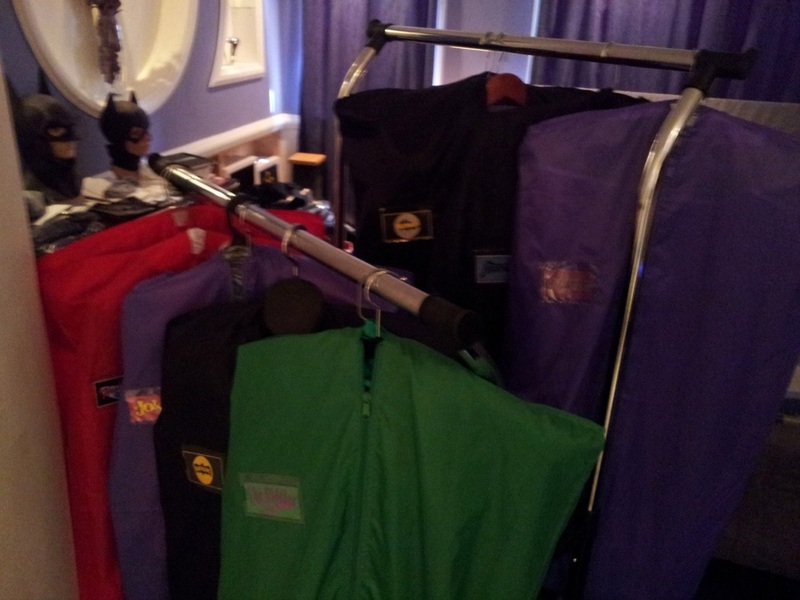 As usual, the photo shoot operation began right at nightfall. 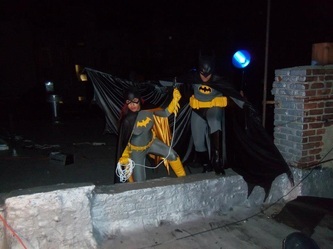 Despite some technical issues with the photo equipment... despite the oppressive 90+ degree heat and humidity... despite a few scares with large flying bugs that were attracted by the bright photography lights... the FOTDK crew pushed forward and produced some of the finest publicity images yet for the stage play! 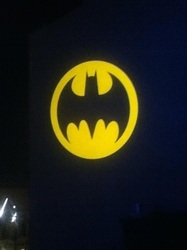 As before, the neighborhood generously showed its love and support for FOTDK in a big way. 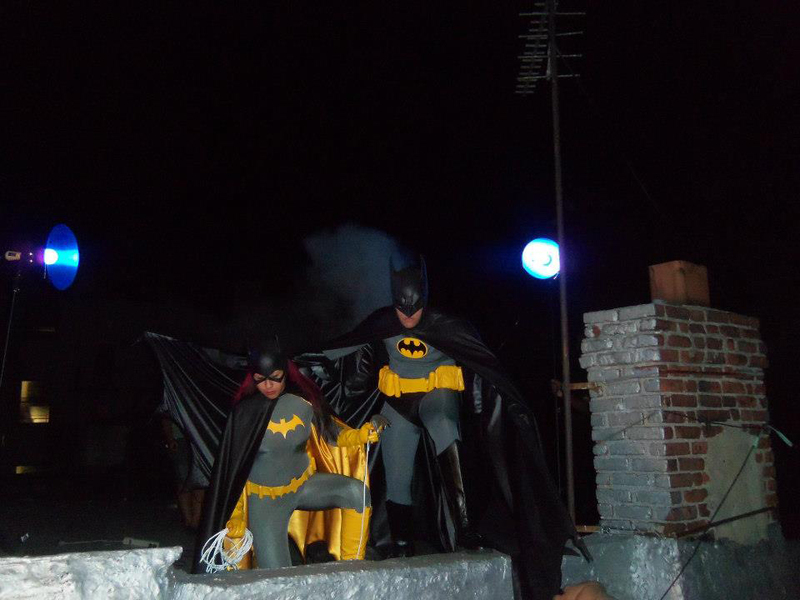 Plenty of cheers could be heard throughout the night for our costumed cast of characters from neighboring rooftops. 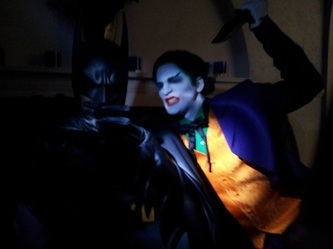 The production team was even graced by a set visit from a friendly neighbor who was BLOWN AWAY by the description and production value of the Fathers Of The Dark Knight project. 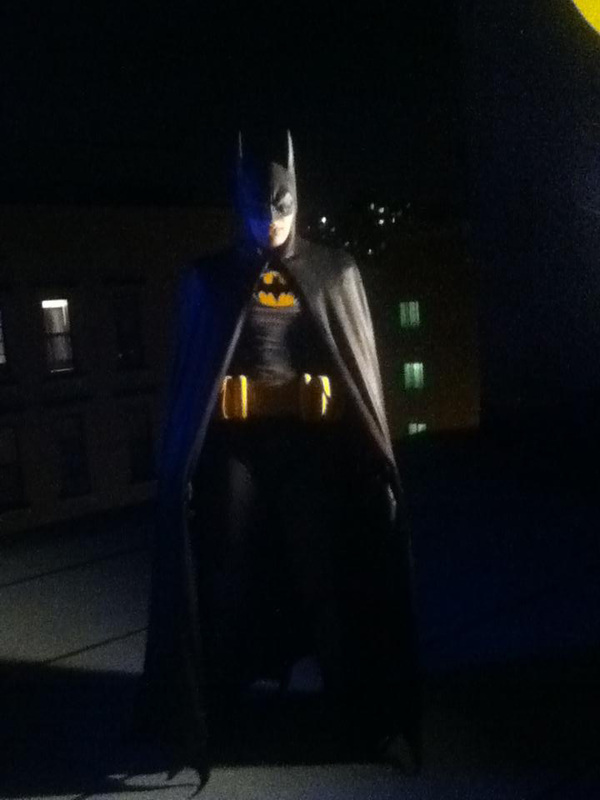 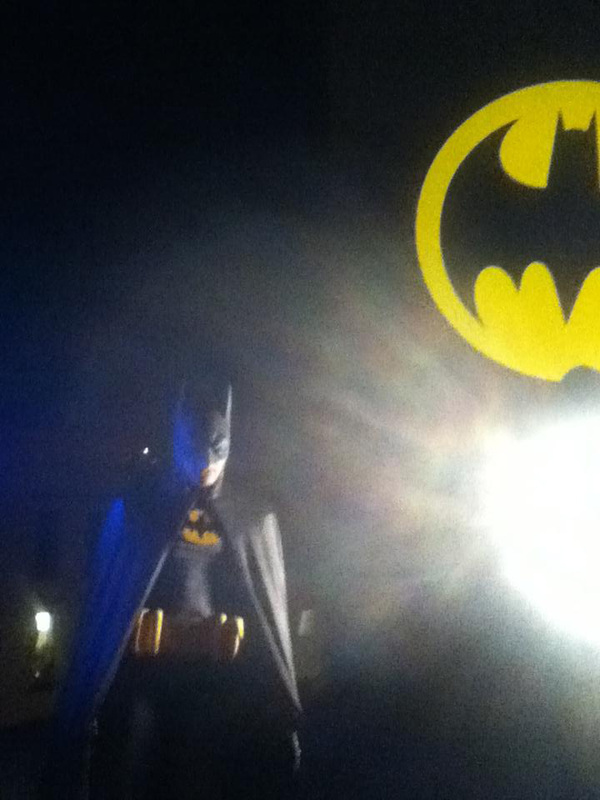 And in an awesome show of Bat-support by a neighbor across the street, a pair of speakers were placed in an open window... BLASTING Danny Elfman's 1989 BATMAN musical score for us to hear while we worked!! 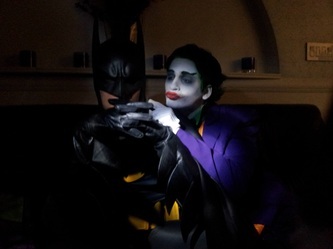 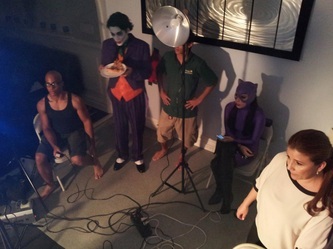 The production crew is thrilled to see that with each publicity photo shoot, the awareness and anticipation for Fathers Of The Dark Knight grows greater and more anxious! 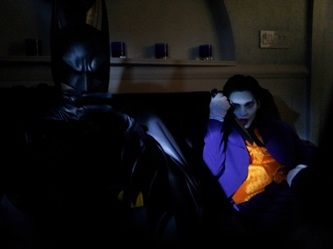 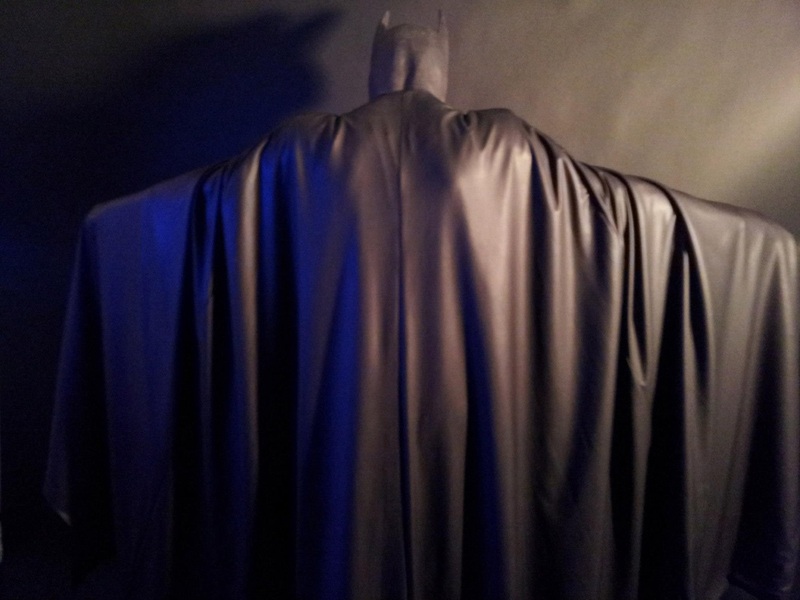 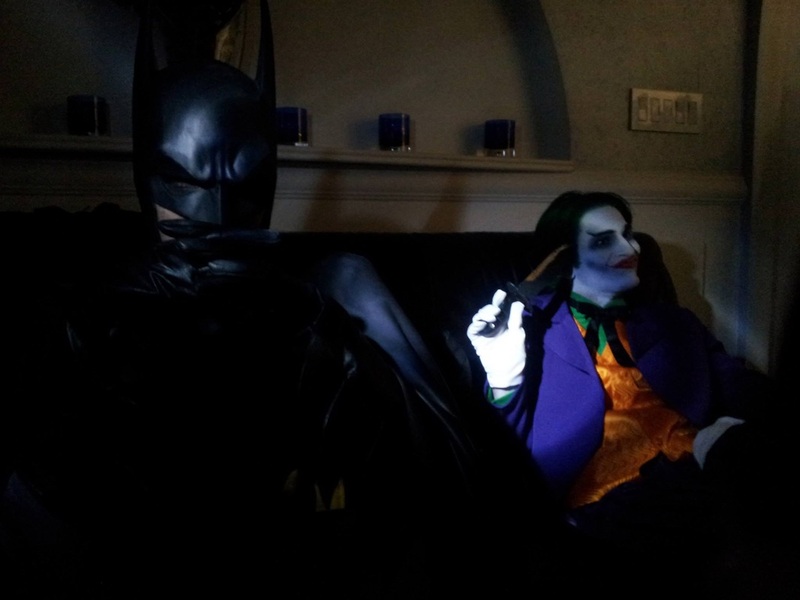 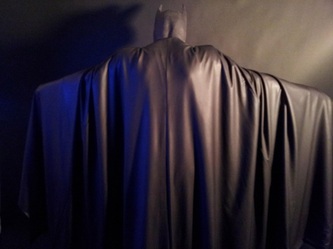 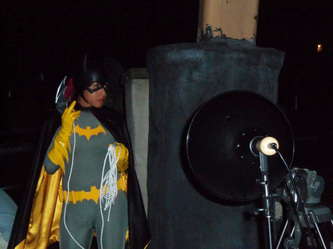 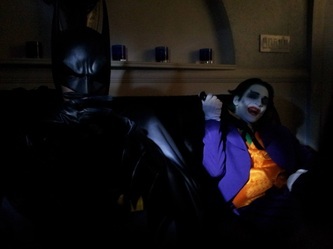 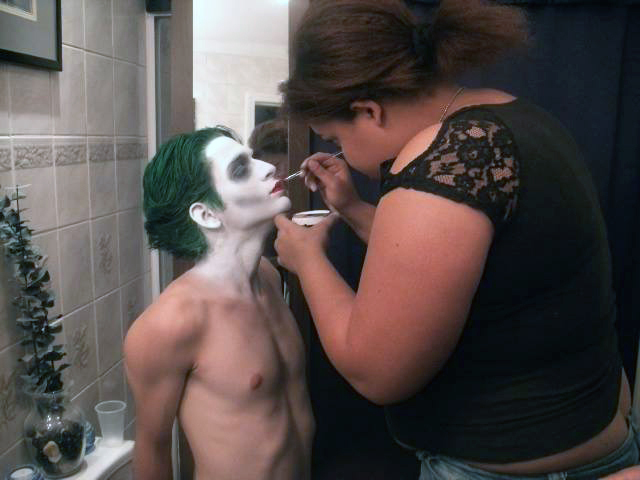 Playwright, Producer, and Director Roberto Williams summoned the cast of Fathers Of the Dark Knight to his Williamsburg Brooklyn residence to shoot the final series of production publicity stills of the summer. 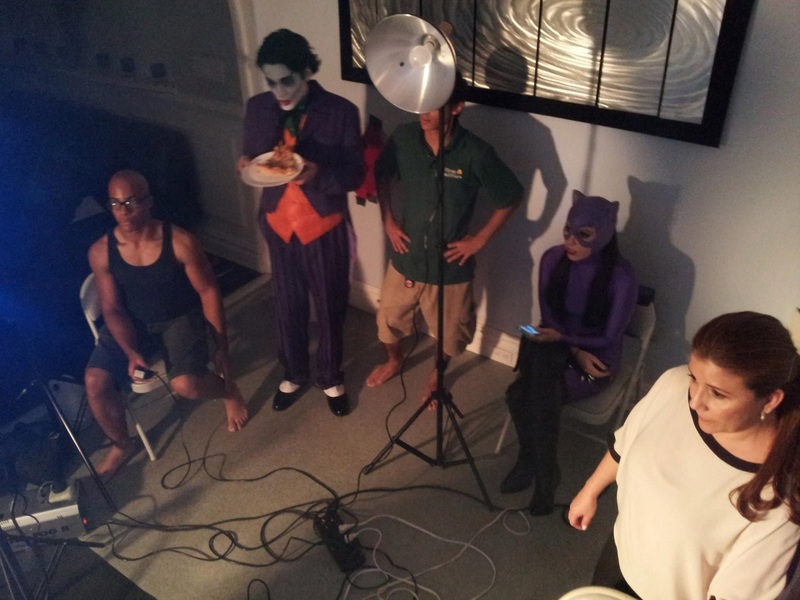 With the help of his youthful cast and crew, and the kind indulgence (once again) of his patient wife, Mr. Williams converted his living room into a makeshift photo studio space. Much more than usual, it was a difficult shoot, with technical problems plaguing the cameras being used and the space not lending itself well for precise lighting schemes. 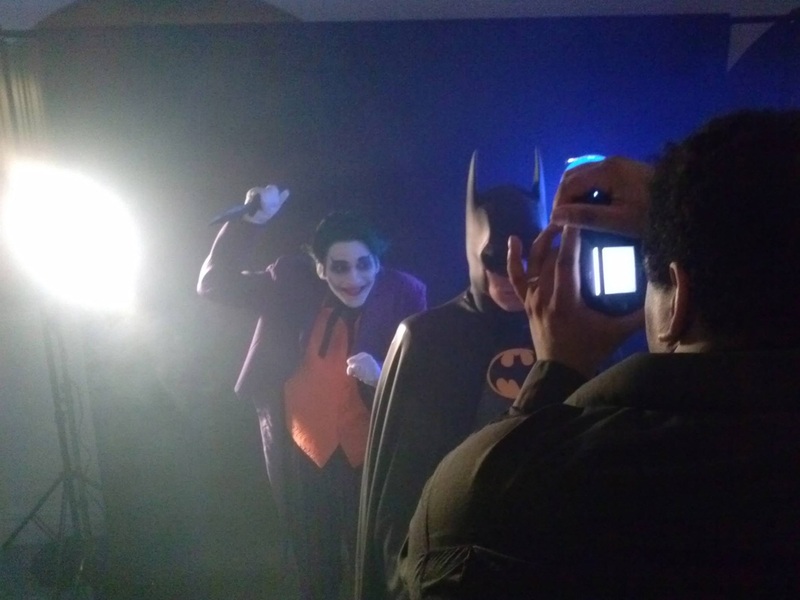 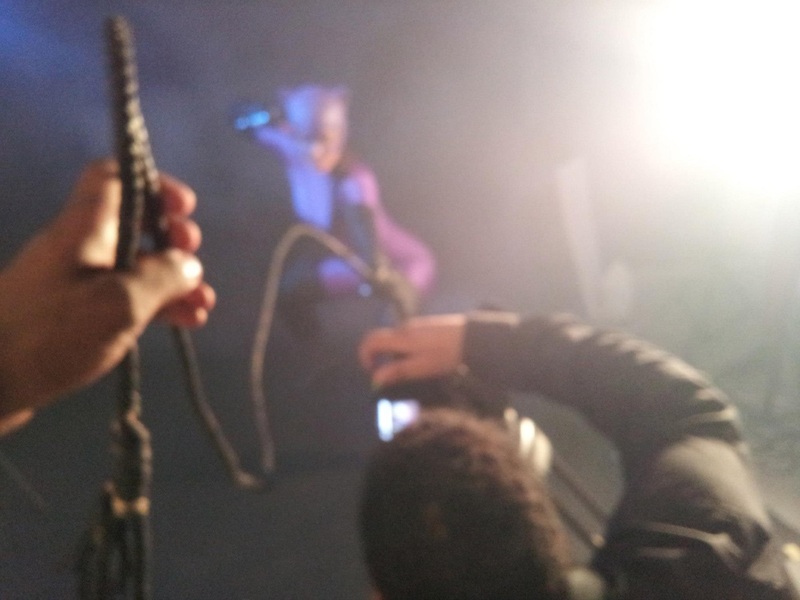 But despite all the obstacles, Williams and his cast and crew of students managed to shoot several of the most impressive images yet for the publicity of his upcoming stage play. 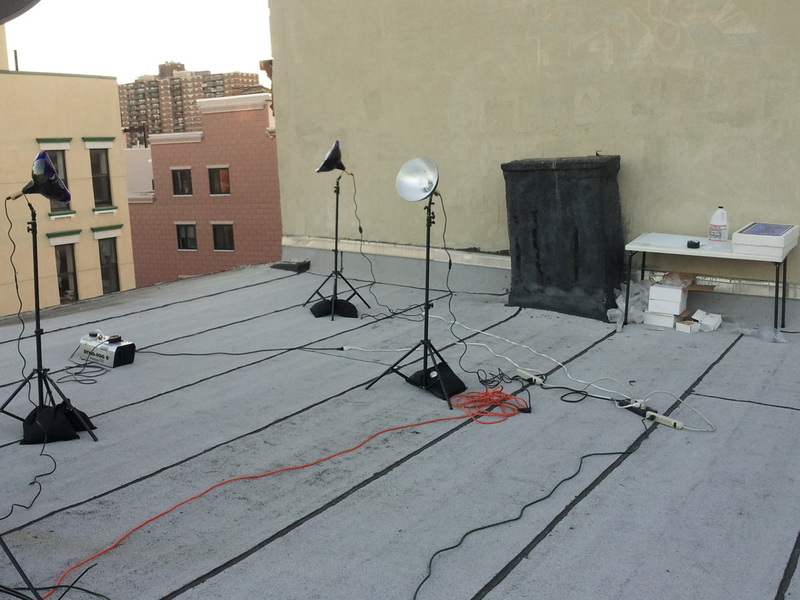 With the recent casting of Mr. H. Max Rosenthal, it was deemed necessary to conduct another rooftop publicity photo shoot just as the summer came to a close. 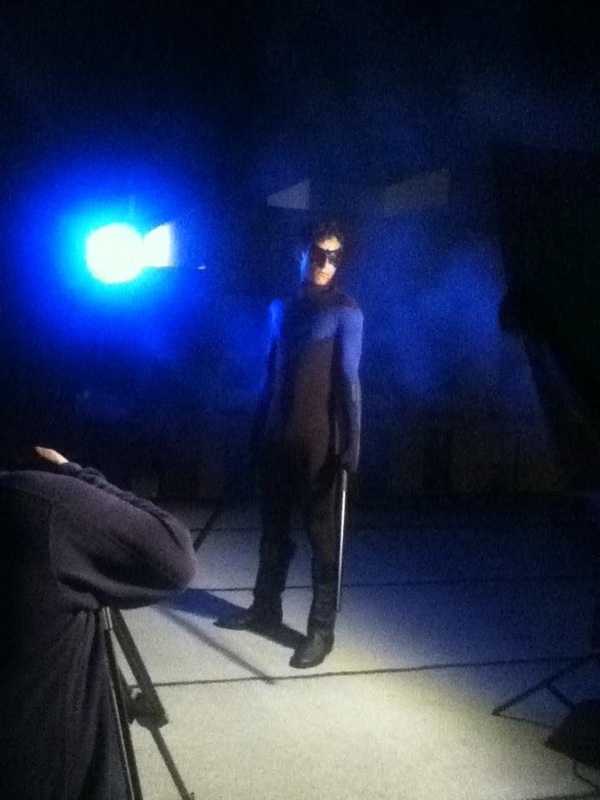 Max really shined in his role as NIGHTWING as he suited up for the first time as an official cast member of FATHERS OF THE DARK KNIGHT!